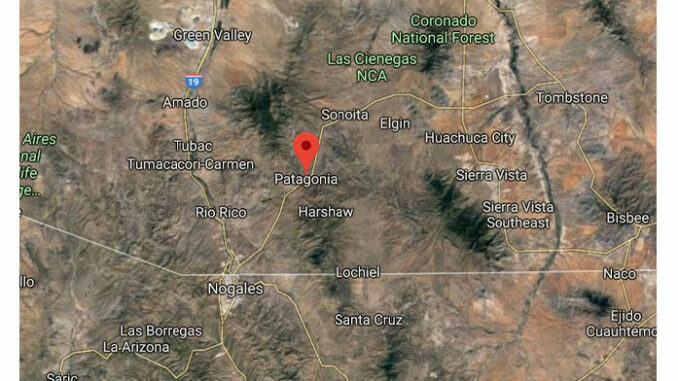 SAN LUIS RIO COLORADO, Sonora, Mexico – A group of teenagers kneel in a semicircle around five men on a small soccer field in this border city 25 miles south of Yuma. The sun has set but the sweltering heat of the Sonoran Desert remains. The dirt lots of a secondary school surround a turf field. Four light poles bracket the field, but only three of the eight lights are on. The teens wear navy-blue polo shirts with “Club Aztecas de San Luis” emblazoned across the left breast. This is what American football looks like south of the border, where the sport is beginning to thrive. “We are one machine called the Aztecas,” Jack Guillen barks in Spanish as players grip footballs and fiddle with their flag-football belts while keeping their eyes locked on the coach. It is a scene not that different from those playing out on football fields across the United State this time of year. And it is becoming more familiar in Mexico, especially along the border and in the country’s largest cities, as the game takes root. An ESPN report two years ago called American football the second most popular sport in northern Mexico, trailing only soccer, known as “fútbol” in Mexico. Other reports rank American football as the sixth most popular sport in the entire country. Mexico also has an extensive college football system with two major leagues and a young, six-team professional league called Liga de Fútbol Americano, or LFA. Four LFA teams are in the Mexico City area and the other two are near Monterrey, about 140 miles southwest of Laredo, Texas. Monterrey Tech has dominated the landscape with 21 national titles, including 17 in the past 30 years. The school’s collegiate and high school teams have played against teams in the United States, with the collegiate team taking on Arizona Western College in 2011. Early this year, the NCAA, which governs collegiate play in the United States, cleared the way for Mexican college programs to begin applying for admission to play in its Division II. Schools must meet NCAA standards for facilities and staff to be approved. The NFL has played several regular season games at Estadio Azteca in Mexico City, including one involving the Arizona Cardinals in 2005, drawing large crowds to each. 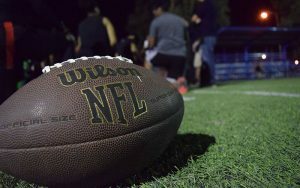 As for youth football, Arturo Olive, director of the NFL office in Mexico, told the Associated Press the NFL sponsors 6,500 youth football programs in 27 Mexican states, including the Federal District that encompasses Mexico City. That was two years ago, and it already was a significant leap from the 120 youth teams playing in six Mexican states eight years earlier. The Aztecas have been around for two years and feature teams at two levels in flag and tackle football. The first is the “infantil” division that features children who are in elementary or middle school. The varsity division is for high school-aged players. Girls also play, typically on flag teams. Larger Mexican cities, such as Mexicali and Tijuana, boast several teams. San Luis Rio Colorado, which has a population of 160,000, and other small cities are in the early stages of growth. San Luis has two teams, the Aztecas and the Spartans. Rolando Cantu, manager of international business ventures for the Arizona Cardinals, became the first Mexican-born non-kicker to reach the NFL through the Mexican collegiate system. A 300-pound guard, Cantu signed with Arizona before the 2004 season and made his league debut near the end of the next season on New Year’s Day 2006. He said small border towns are often influenced by their proximity to the United States and thrive in football. Not so with San Luis. 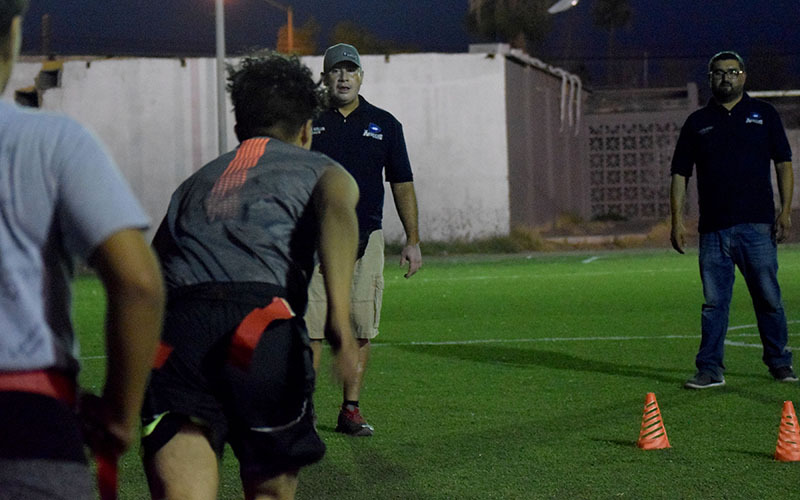 Club Aztecas coach Billy Barraza thinks youth in San Luis play football rather than other sports because of their differing athletic abilities. 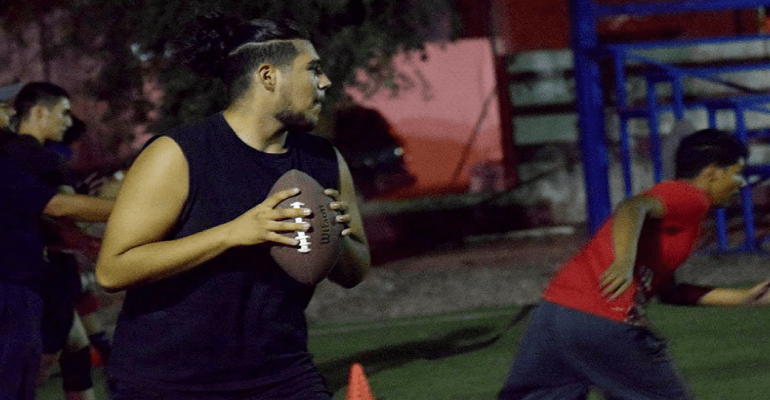 Football caught the attention of Anthony Gutierrez, a high school-aged athlete who had never enjoyed other sports before playing on the club. Gutierrez is more than 6 feet tall and has the build of a football player. He said he grew up in the United States where he played some youth football before moving to Mexico. He was surprised at how popular the sport has become south of the border. Still, there are growing pains for American football in Mexico. The Aztecas don’t have their own field. The team moves among soccer and baseball fields around the community to practice. 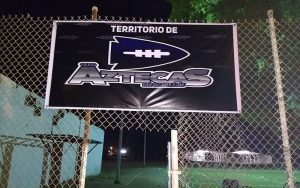 Other Mexican cities, including Mexicali and Nogales, have fields designated for football. 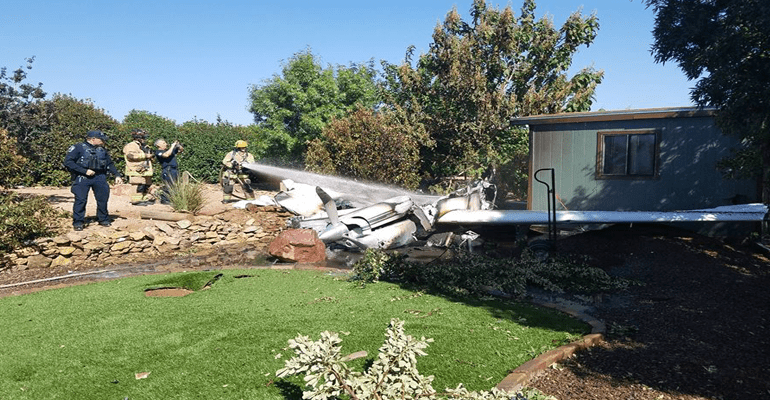 Billy Barraza’s brother, club president Edgar Barraza, said another hurdle in San Luis is that parents fear their children could suffer physical harm, such as concussions, playing football. Concussions and the safety of football are a hot-button issue at all levels of the sport on both sides of the border. In order to quash that fear, the club needs to show parents that young athletes are in capable hands. The coaches have played the sport and know how to properly teach kids how to play while caring for their well being, Edgar Barraza said. The club has been around for two years and it has gathered coaches from various walks of life who have a passion for growing the sport in their community. Edgar Barraza played college football in the early 2000s and has coached for about 10 years. Billy Barraza also coaches the club’s offense and comes in with previous coaching and playing experience. Guillen brings with him a lifelong love for the sport. His father was a football coach at a polytechnic school in Mexico City who loved the sport so much that he named his son after former Pittsburgh Steelers great Jack Lambert. What intrigues Guillen the most, he said, is how football can help craft young men to be better people for the rest of their lives. For two years, the Arizona Cardinals and Cantu have hosted camps in San Luis. The relationship began when Edgar Barraza reached out via social media to Cantu to see if he had interest in hosting a camp in San Luis. Cantu said he was happy to help because he had noticed many fans from San Luis attending Cardinals games in Glendale and saw an opportunity to grow the game there. In his first year in San Luis, Cantu estimated less than 50 children attended the camp. 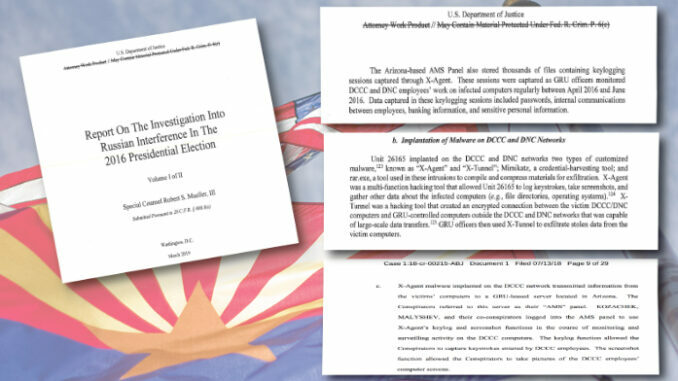 By the second year, Cantu estimated that number had grown to about 115. Young Mexican athletes have goals that range from playing college football in Mexico to making the country’s national team or suiting up as Cantu did for an NFL team, according to Edgar Barraza. Mexico has won three consecutive International University Sports Federation World University Championships. Edgar Barraza said many Mexican players aim to play in the collegiate system, especially for Centro de Enseñanza Técnica y Superior (CETYS) Universidad in Mexicali, which finished with a 6-1 record last season. “A lot of young players say, ‘I want to prepare, I want to learn the sport so I can get a scholarship with either CETYS or another university in the country that they would like,’ ” he said. As for the NFL, he knows it is a long shot for young players in Mexico at this point. But not impossible, as Cantu has showed. The Los Angeles Times reported in 2017 that only 1 percent of NFL players are Latino, let alone Mexican. And Cantu placed the exact number of Mexican-born players — including kickers — just shy of 20 all time. Victor Leyva was another Mexican-born athlete who played at Arizona State as an offensive lineman and appeared in 10 games for the Cincinnati Bengals. Most Mexican-born players, however, break into the league as kickers. A language barrier can be an obstacle, Cantu said. Despite the challenges, Cantu said there is talent in Mexico beyond kickers. The trick, he said, is to keep these players motivated. There is a growing number of fans in Mexico, too. A Global World Index study in 2015 estimated that there are nearly 24 million NFL fans in Mexico, the second-most behind the U.S. and more than triple the number of fans in Canada beyond the U.S. northern border. 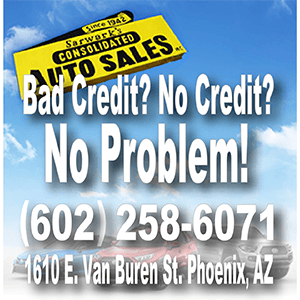 Furthermore, FiveThirtyEight estimated in 2014 that the number of NFL fans in the Mexico City area – with a population of more than 20 million people – was higher than 20 NFL markets, including Phoenix. San Luis Rio Colorado is just starting to develop as a football market, but Cantu said that’s what makes it fun for him when he plays host camps as the Cardinals build excitement about the sport. The Barraza brothers and others are taking steps to ensure that the growth continues. Edgar Barraza recently received his certification as a referee and is encouraging other coaches to become certified game officials. There also are plans to add more levels within the club as participation increases. “We want the sport to stay in the city and to be here until the end of time,” he said. But the coaches and organizers aren’t working only toward winning games. They hope learning the game will help their players become better, more well-rounded people. Guillen said he learned lessons from playing football that have been a part of his life for as long as he can remember. They are the lessons that led him to coaching and drive his passion for it still. “Right now, they have to be good players,” he said. “But later, they have to be good fathers, good sons, good citizens and good professionals.